Work on the entire project was organized by County. 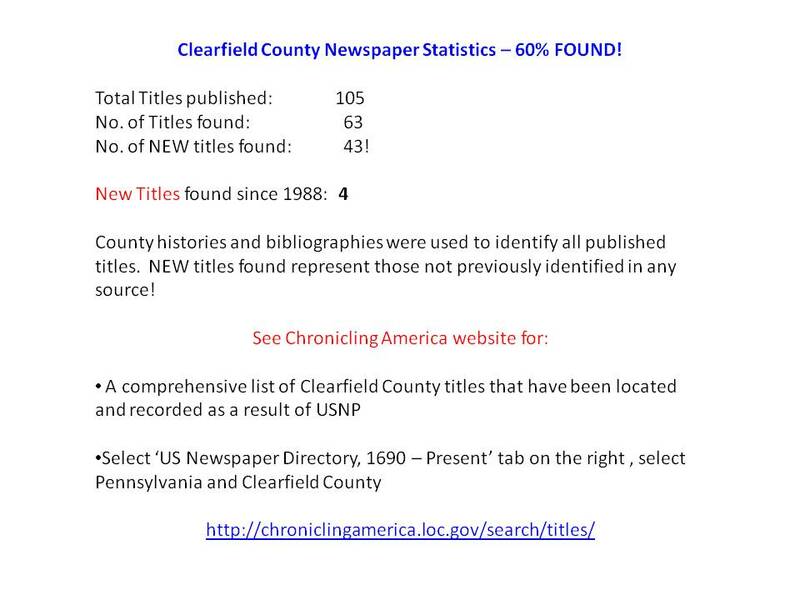 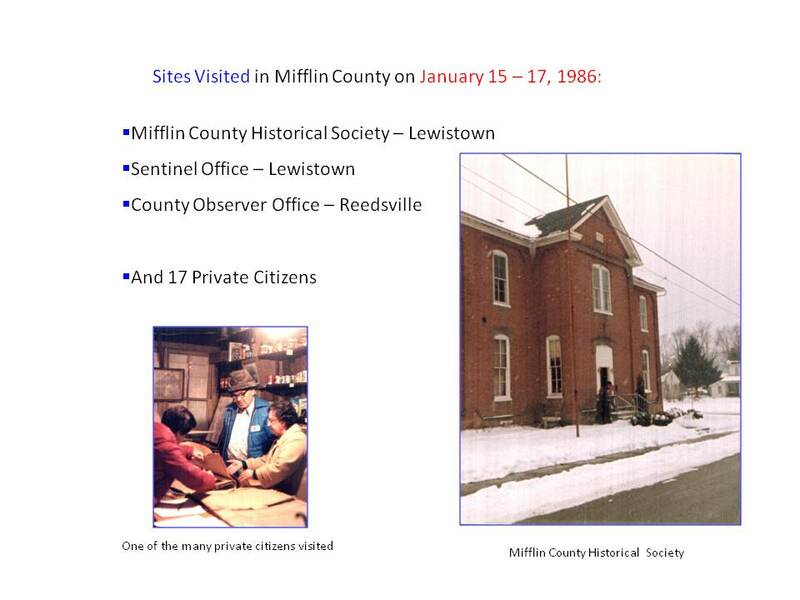 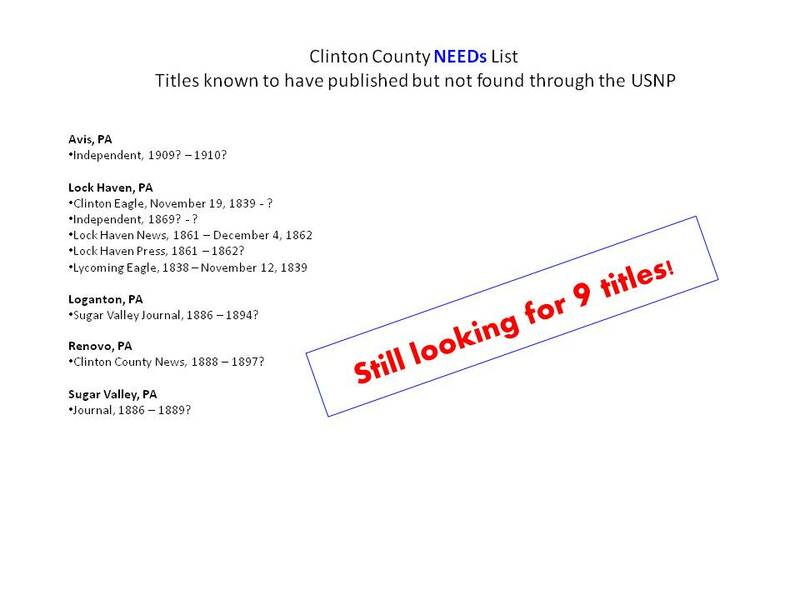 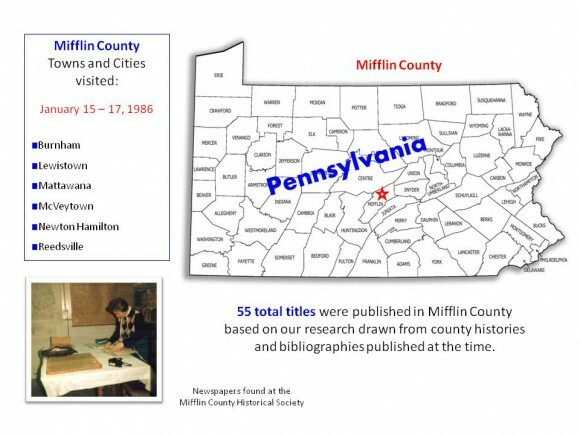 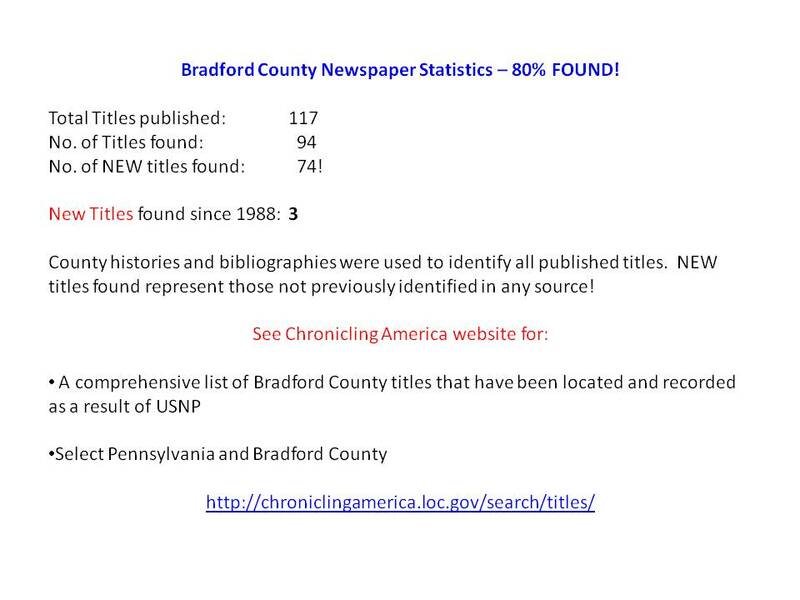 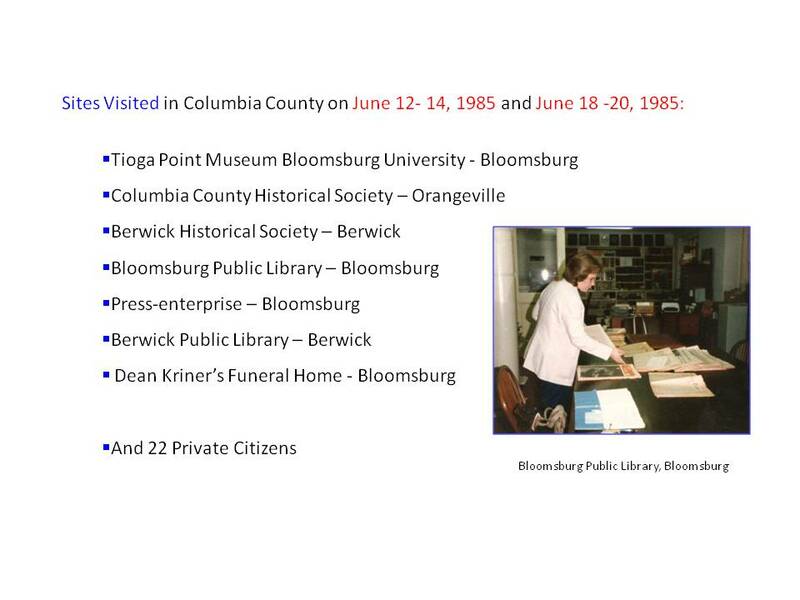 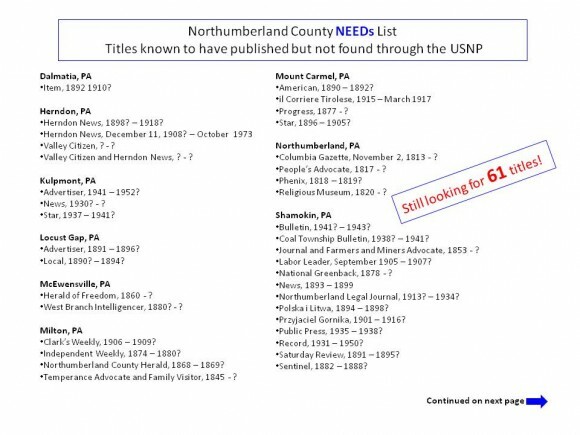 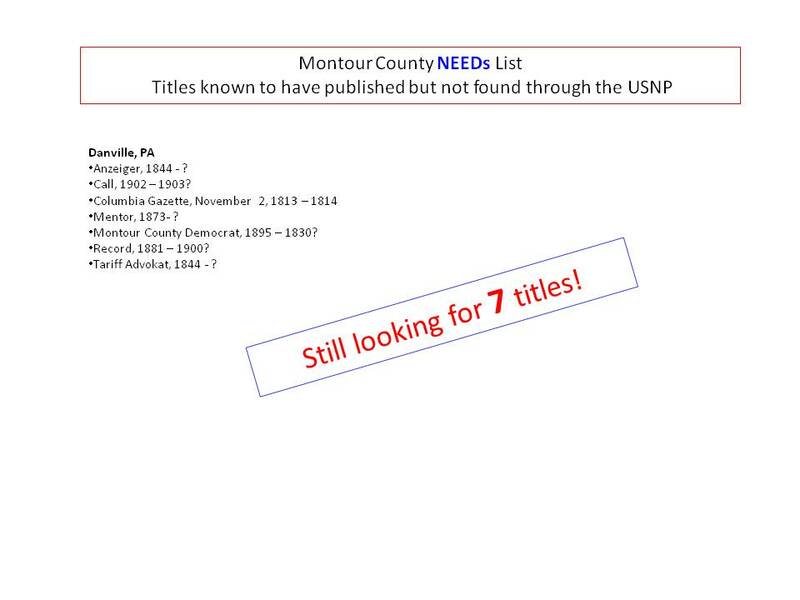 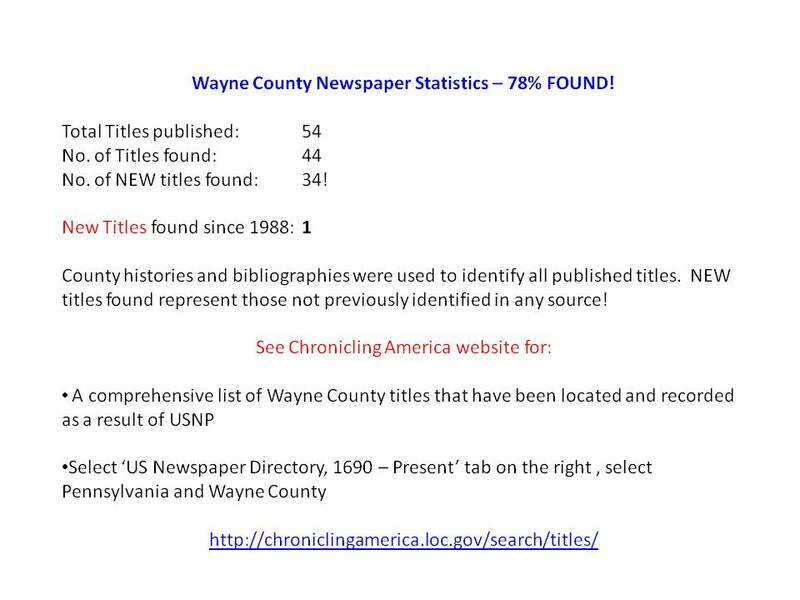 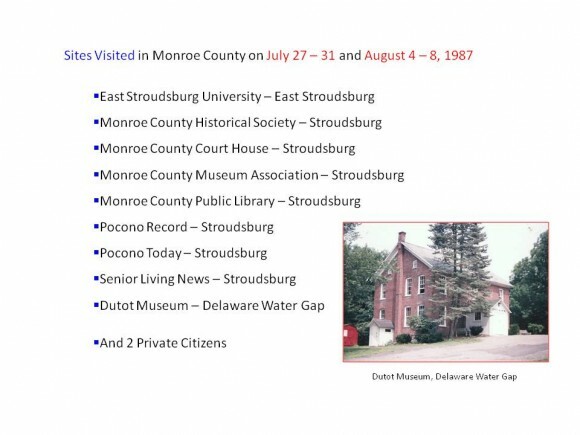 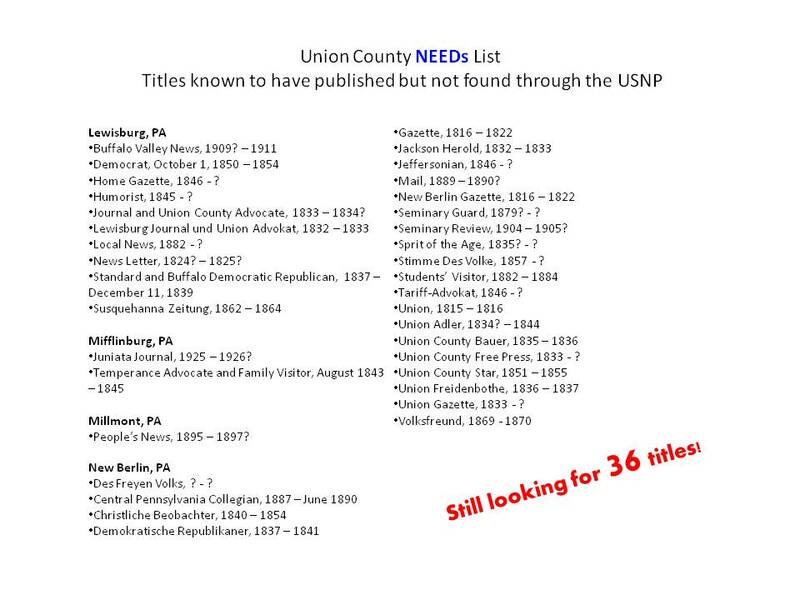 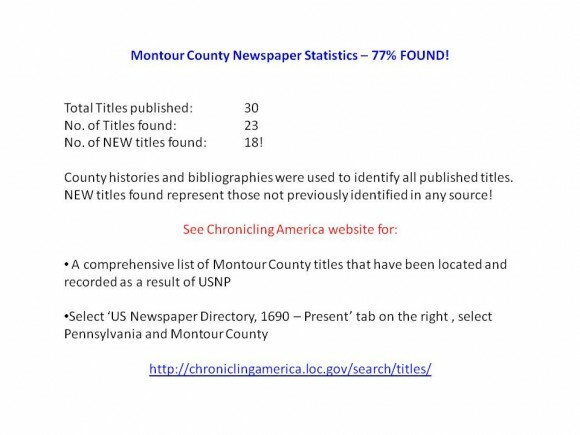 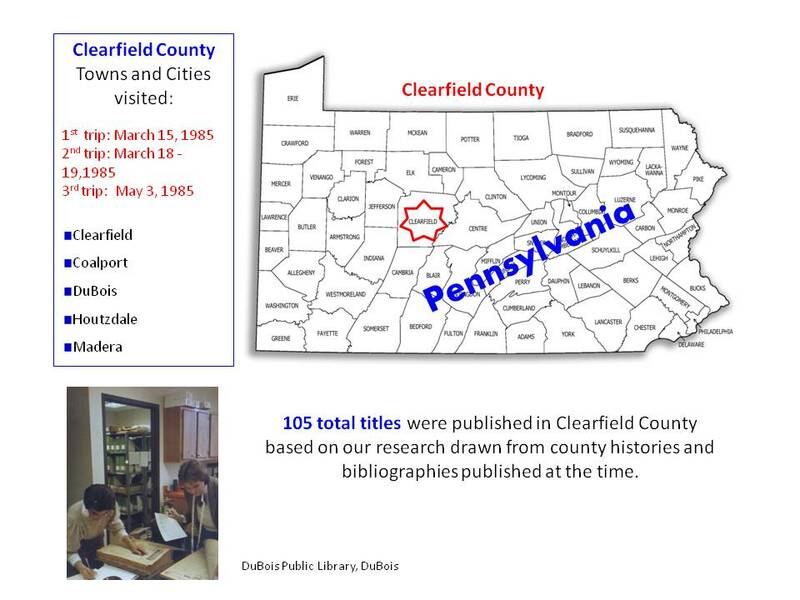 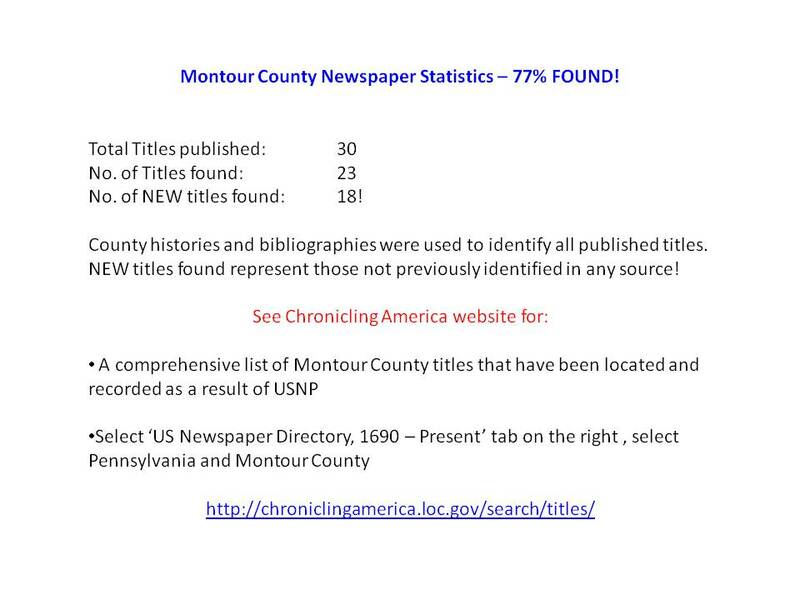 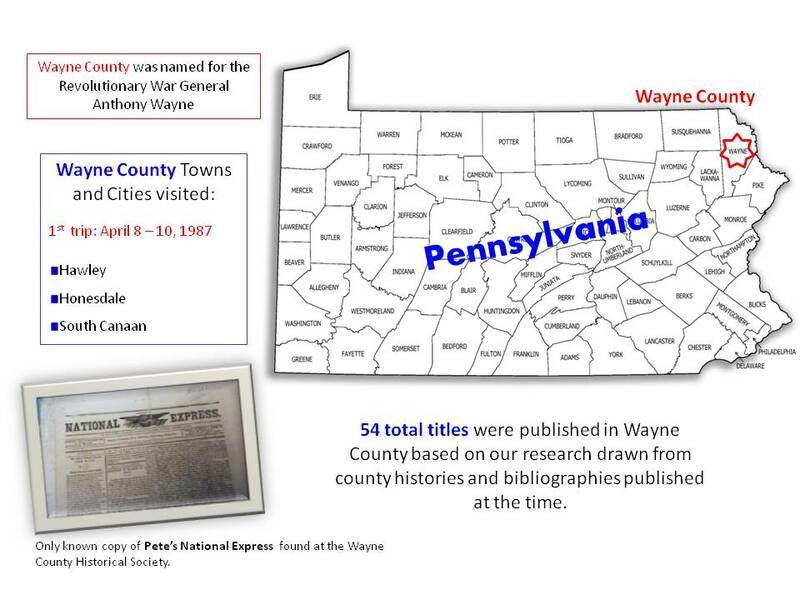 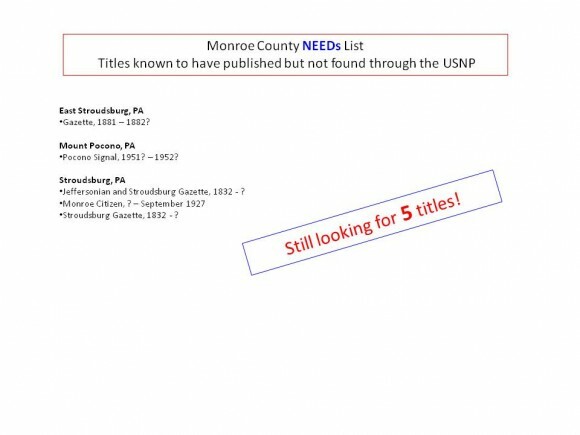 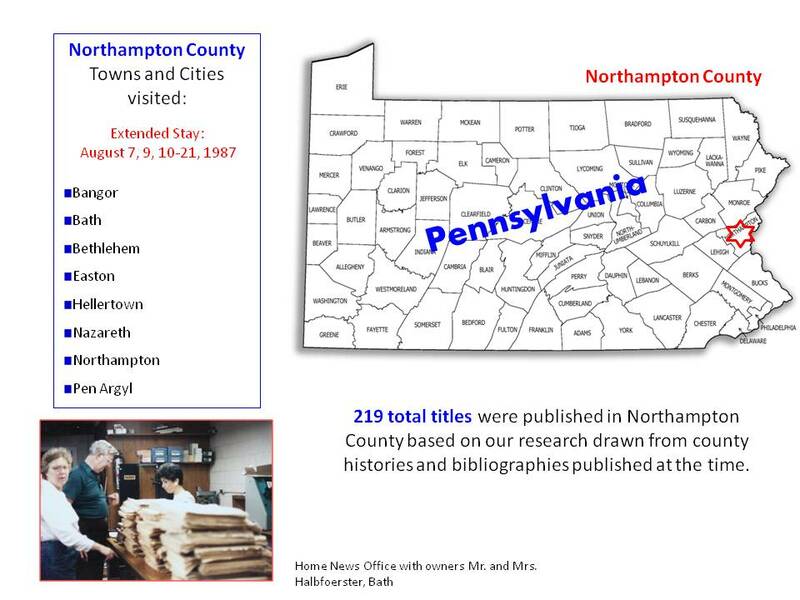 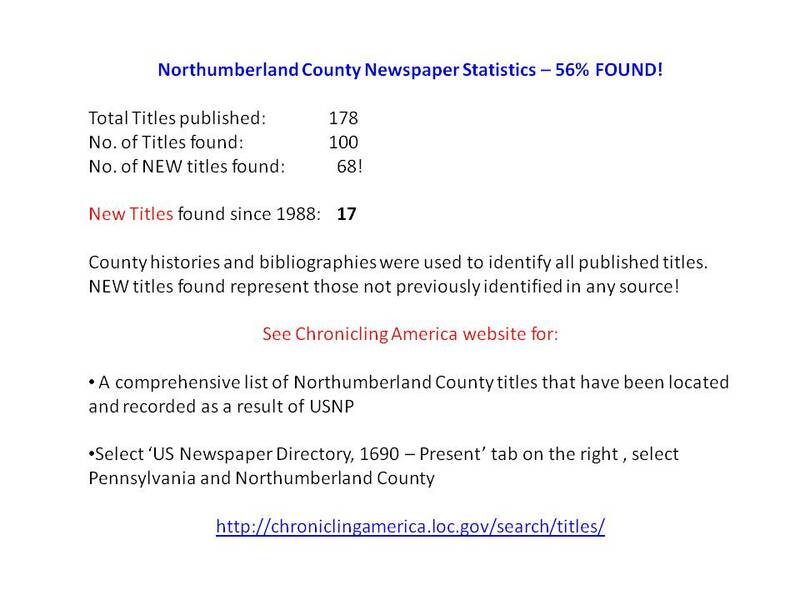 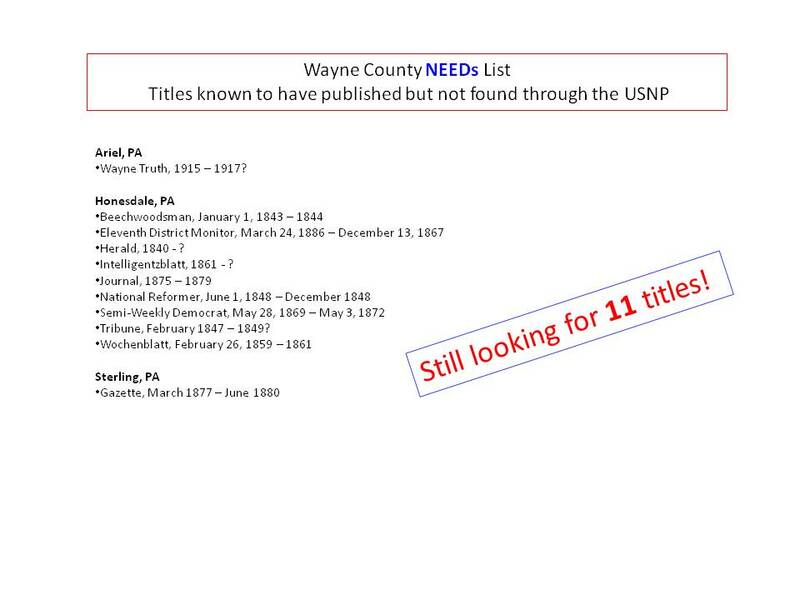 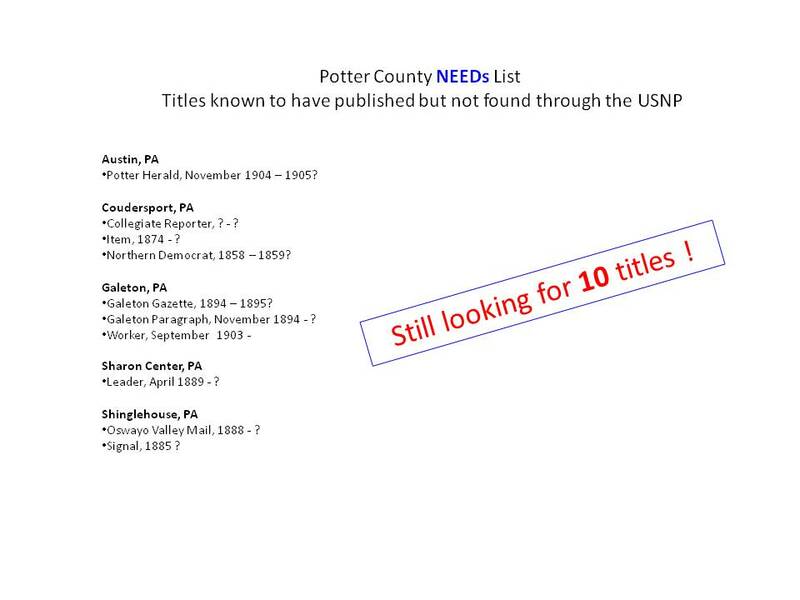 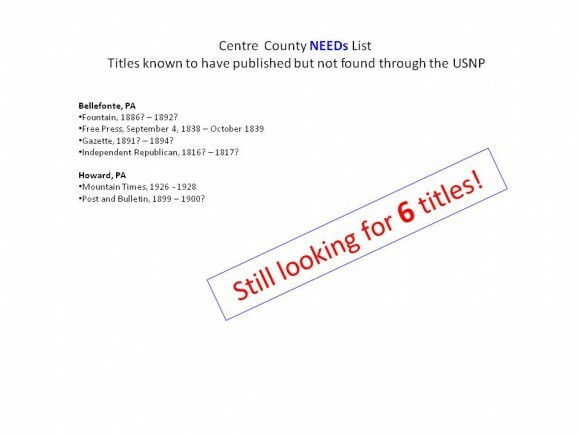 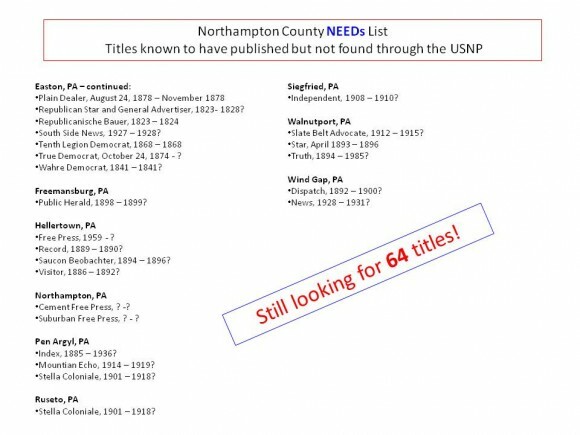 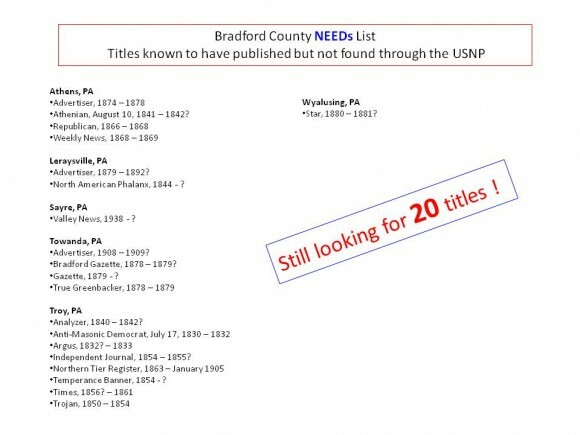 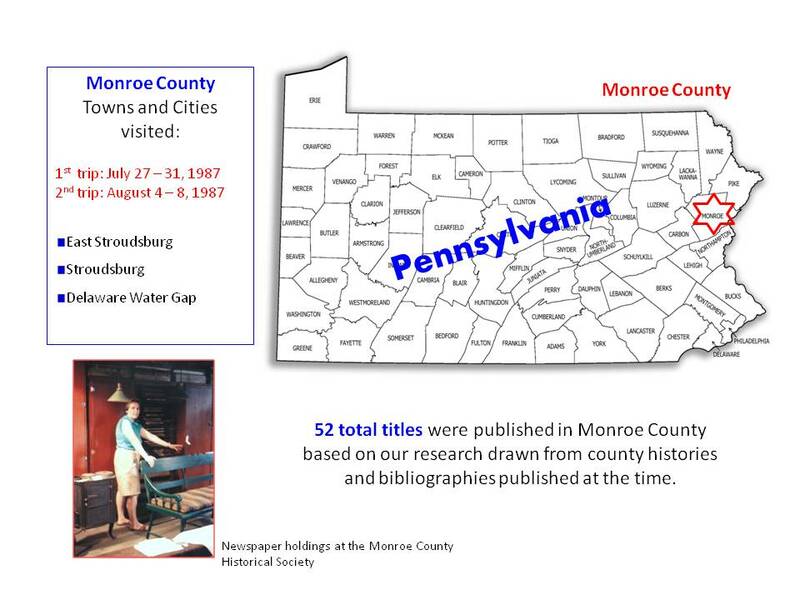 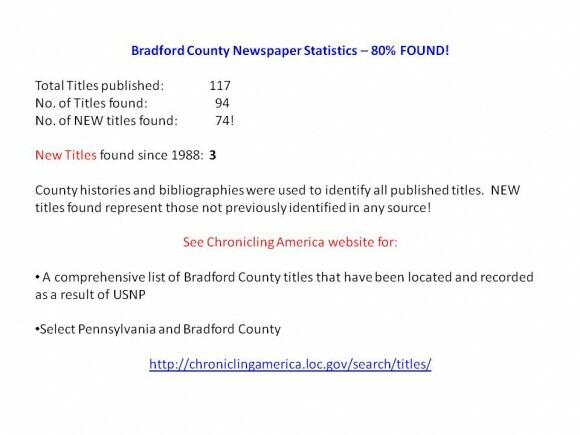 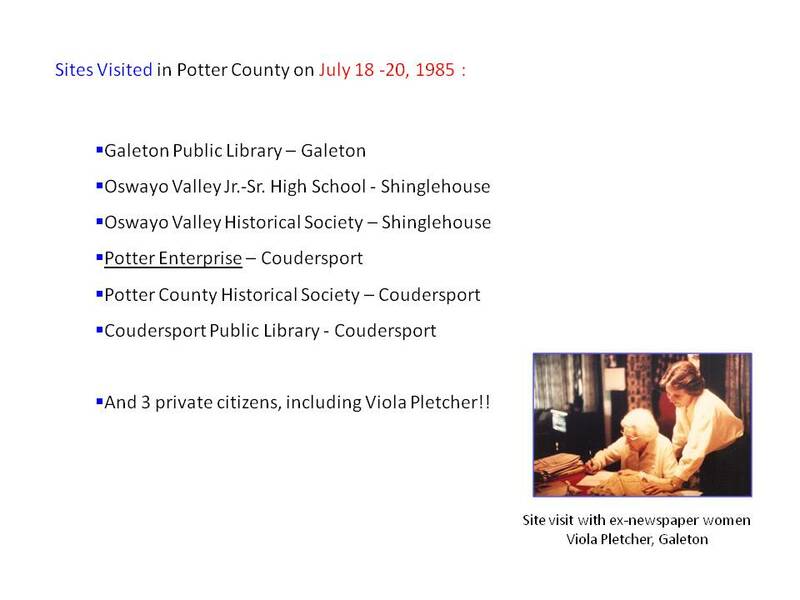 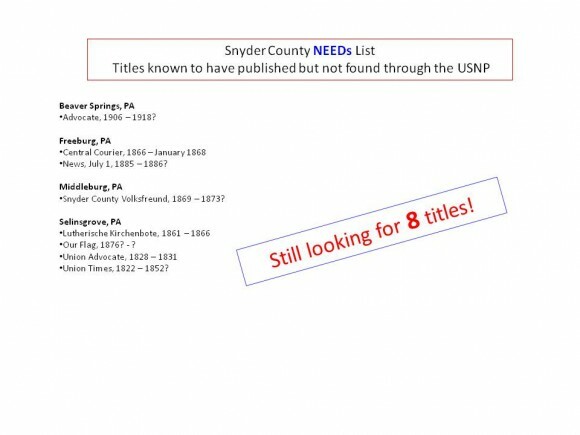 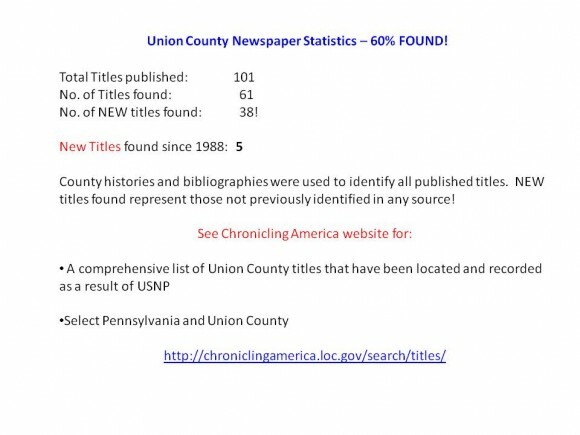 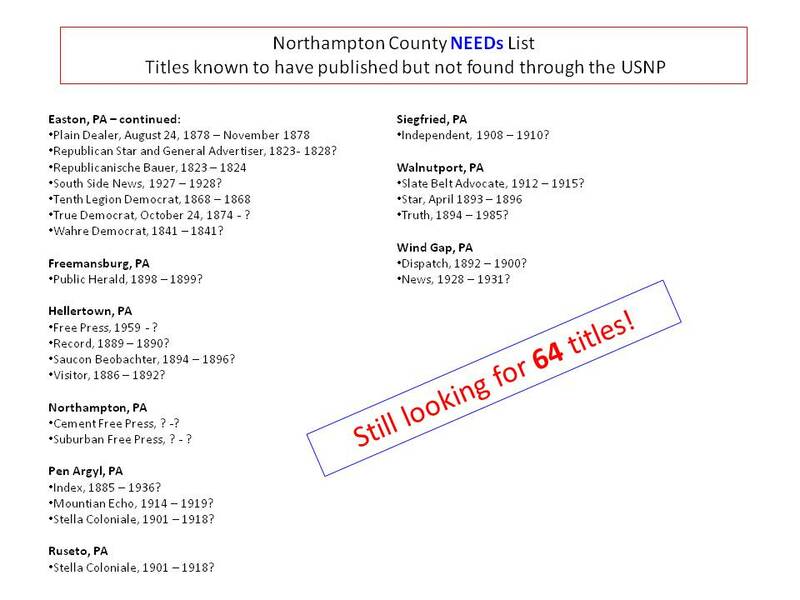 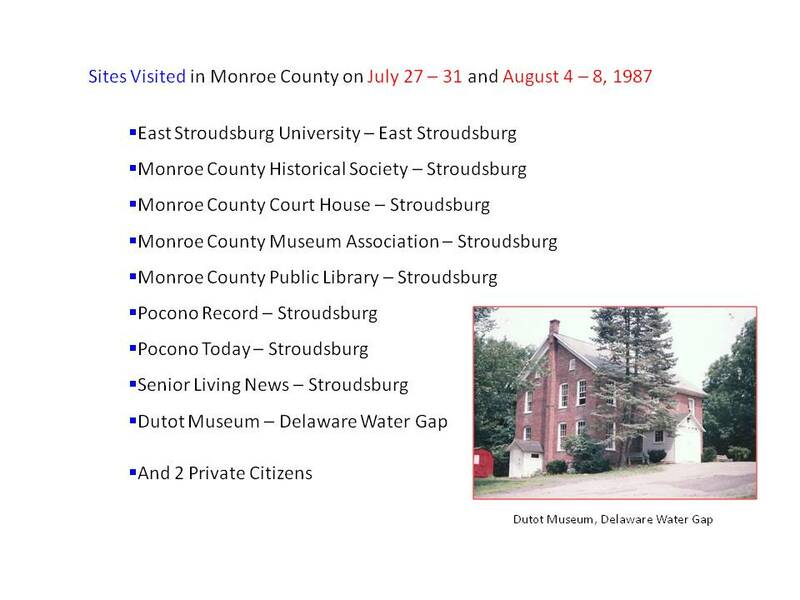 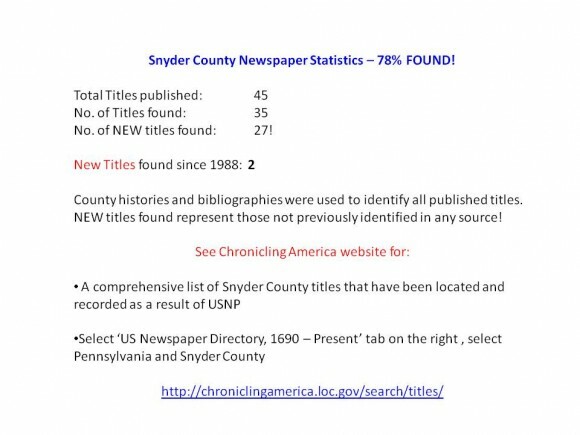 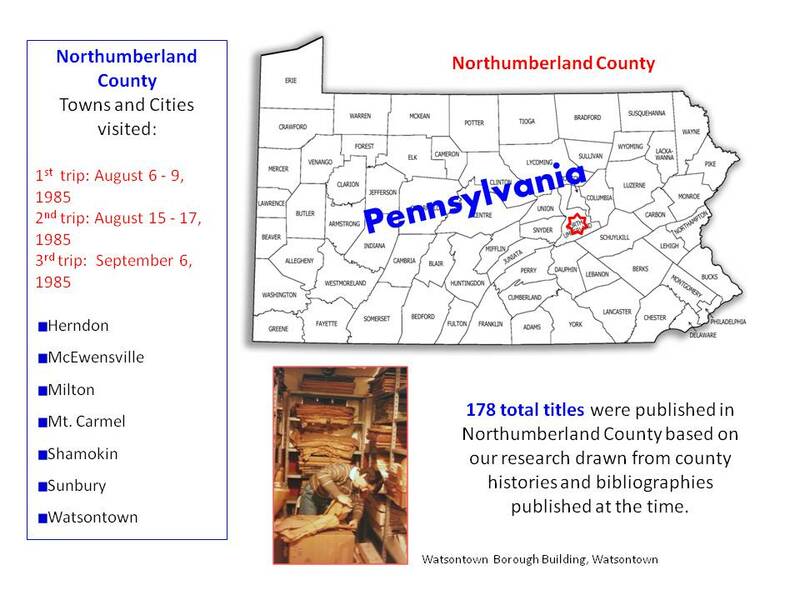 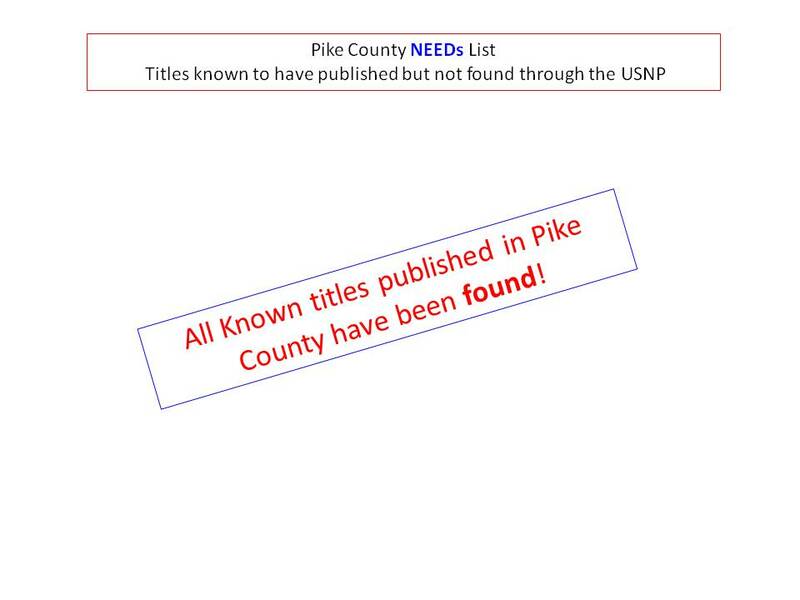 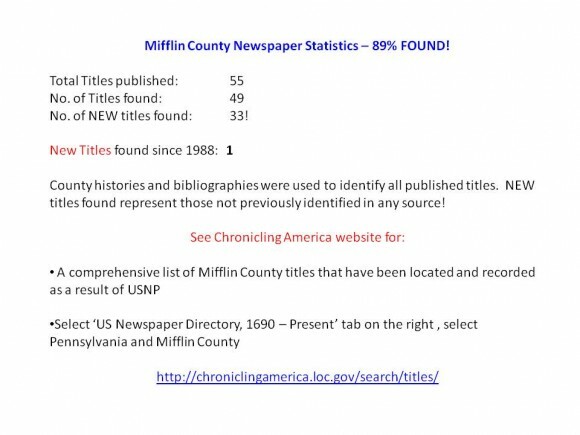 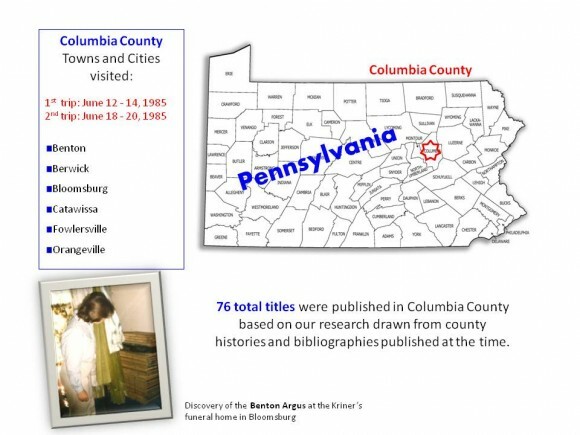 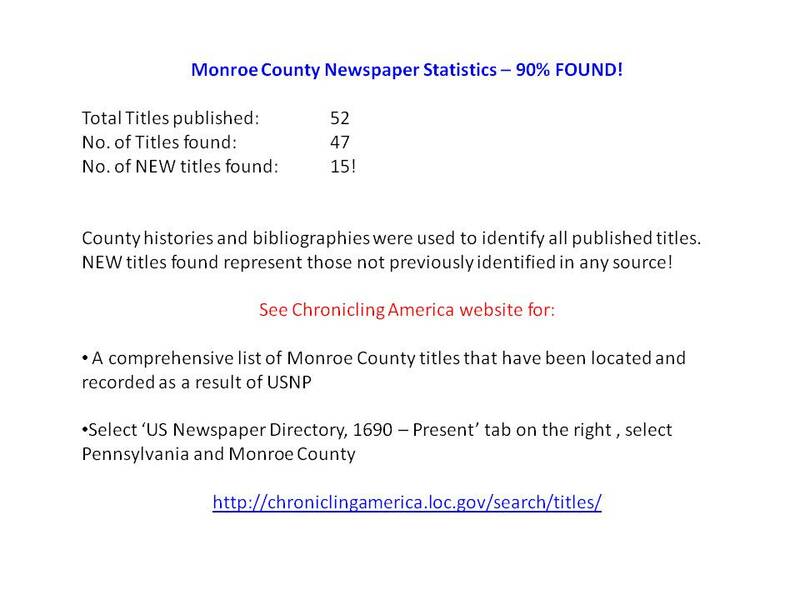 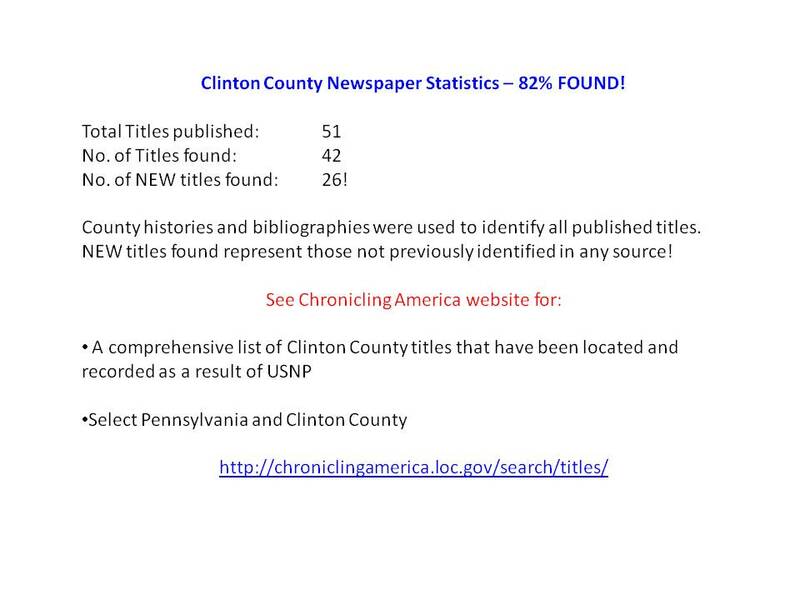 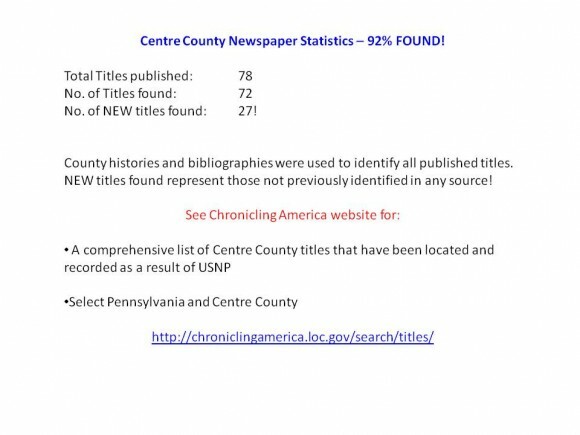 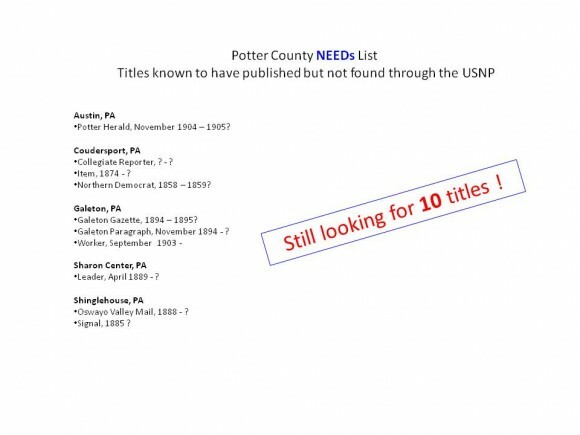 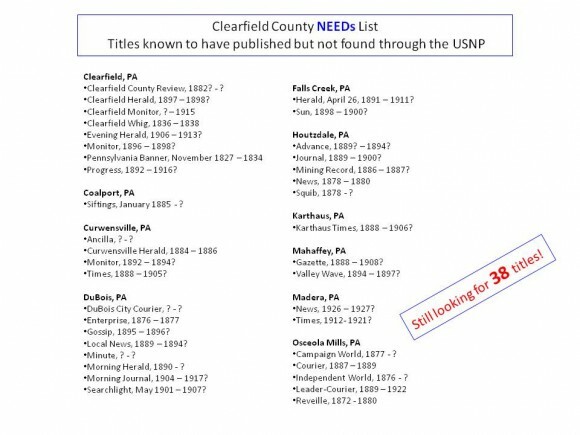 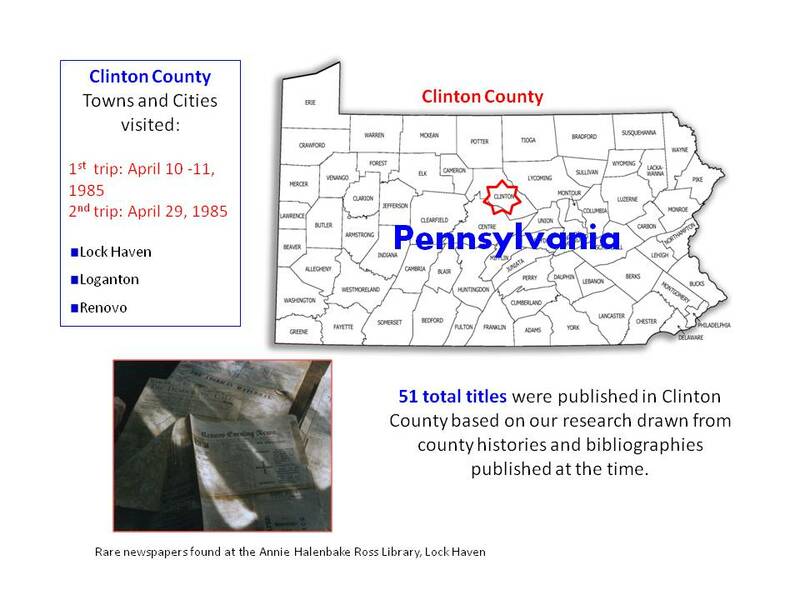 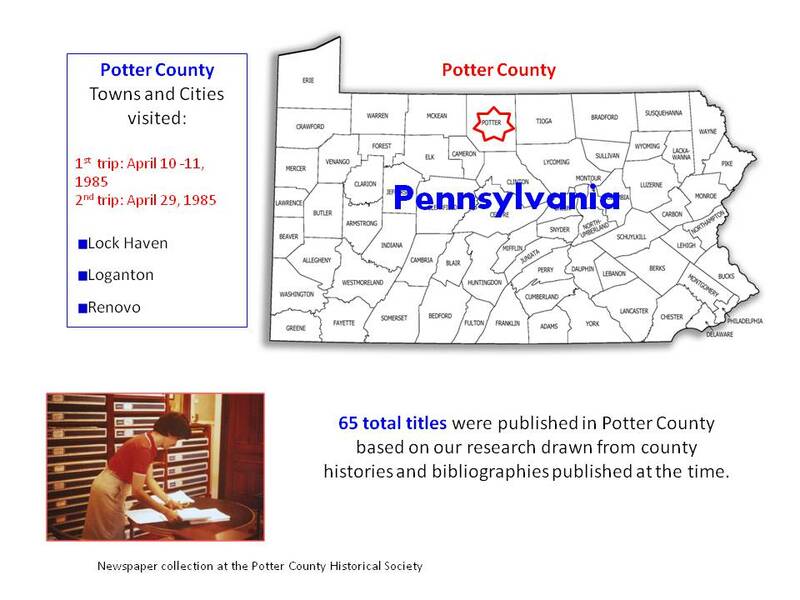 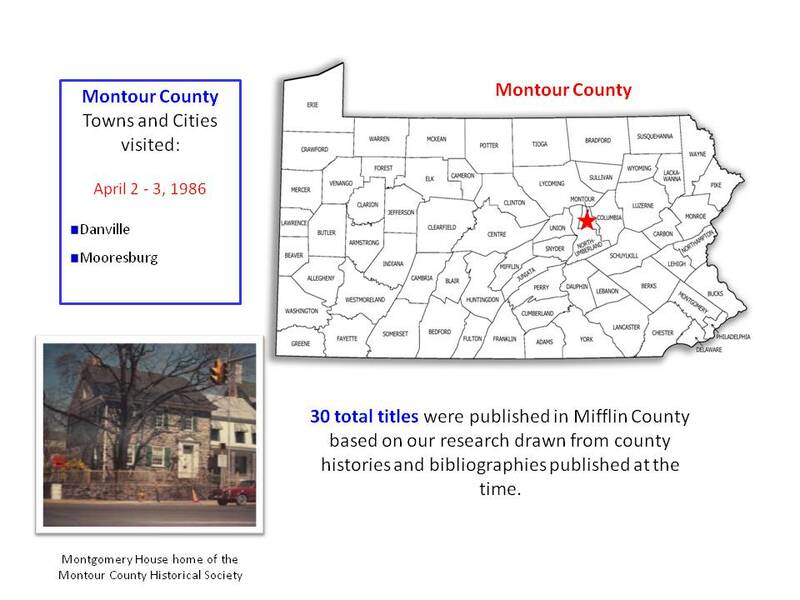 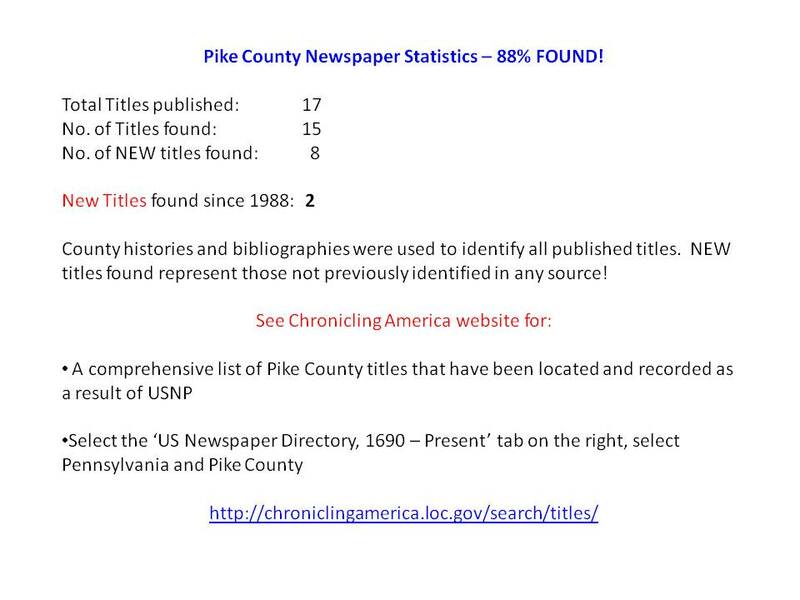 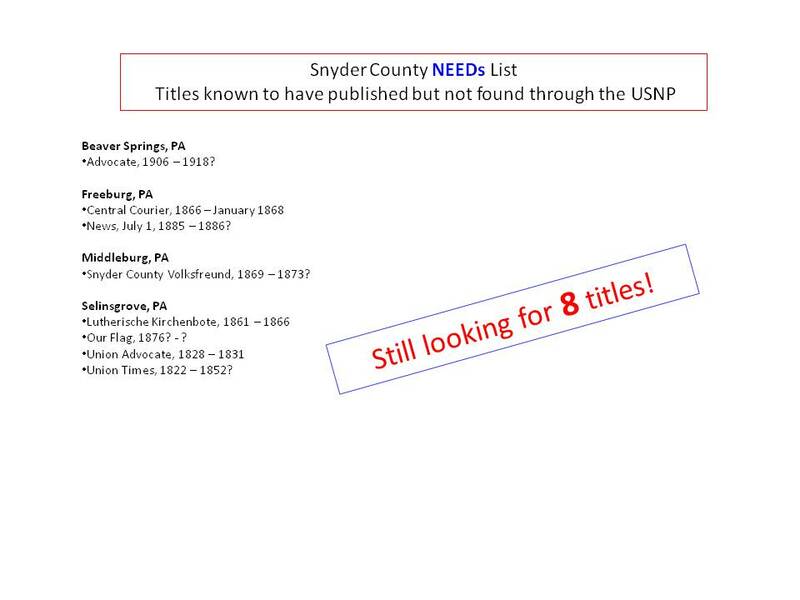 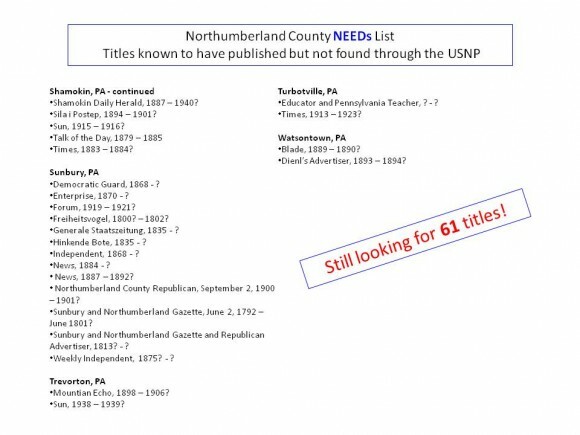 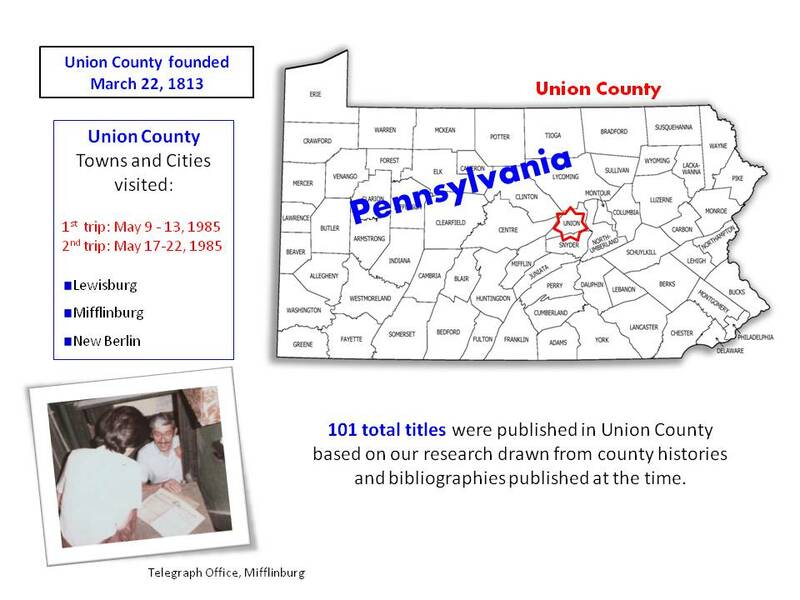 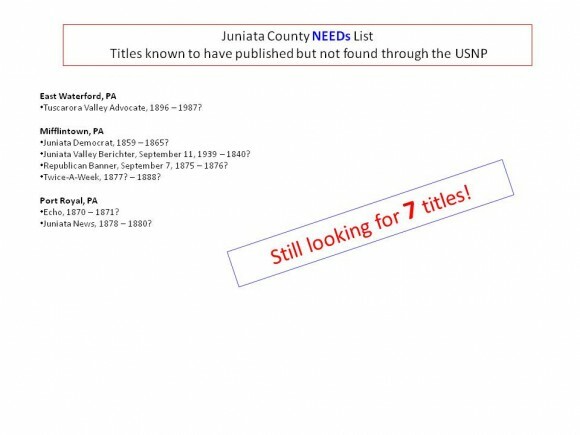 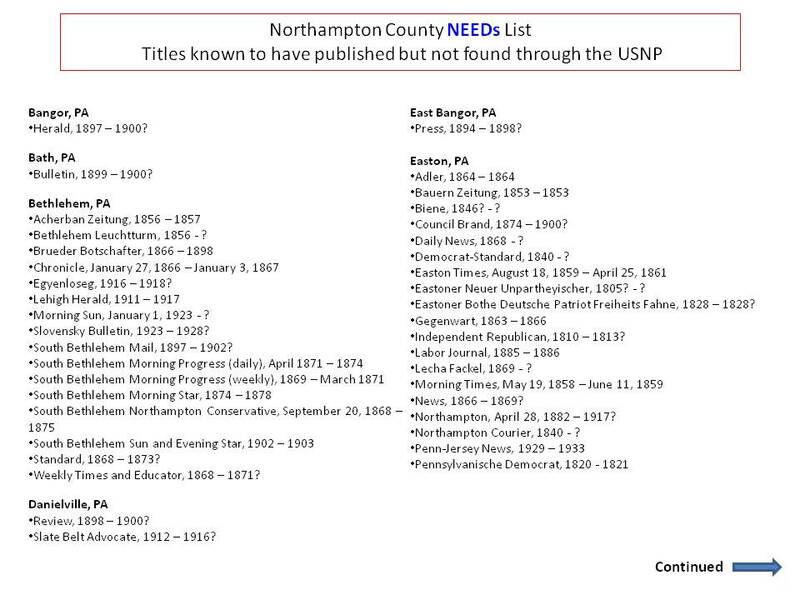 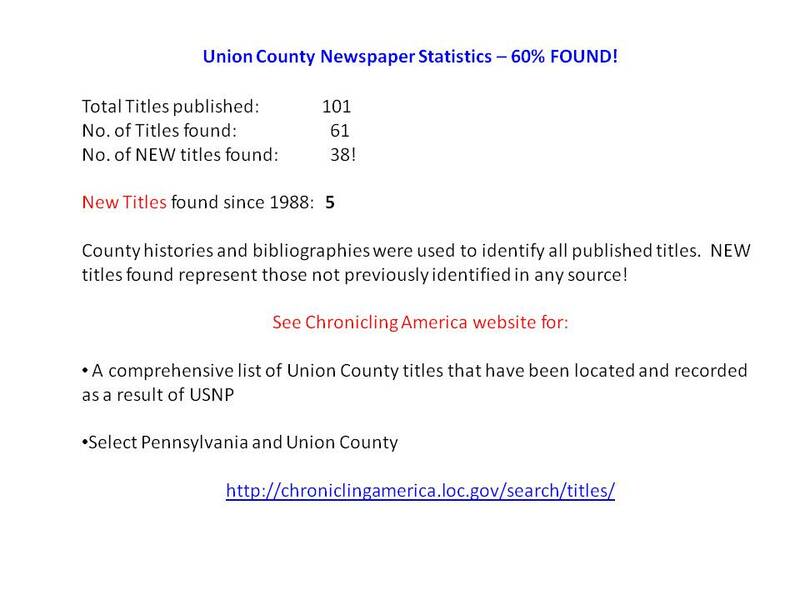 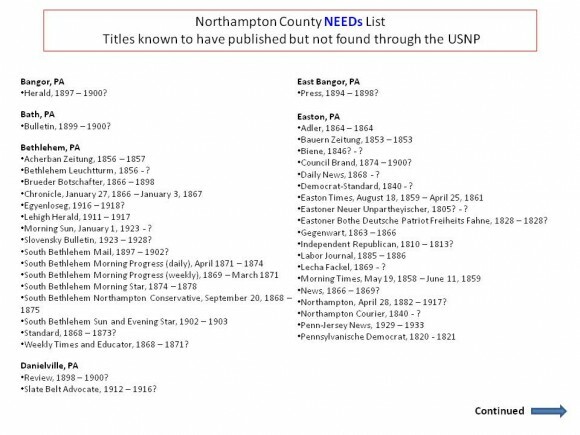 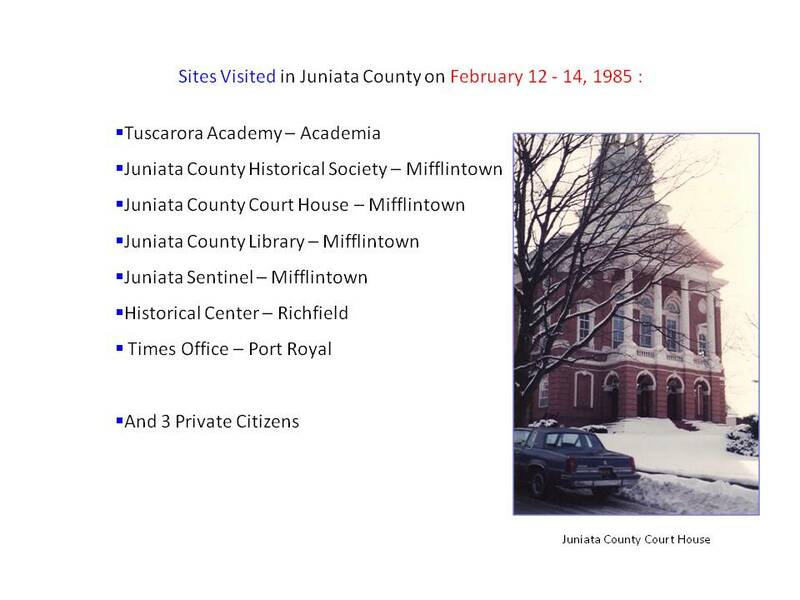 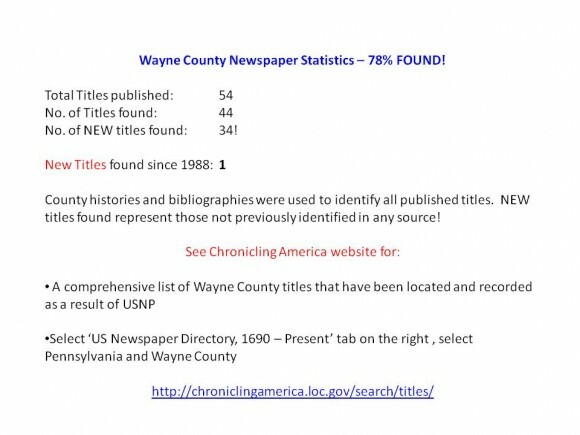 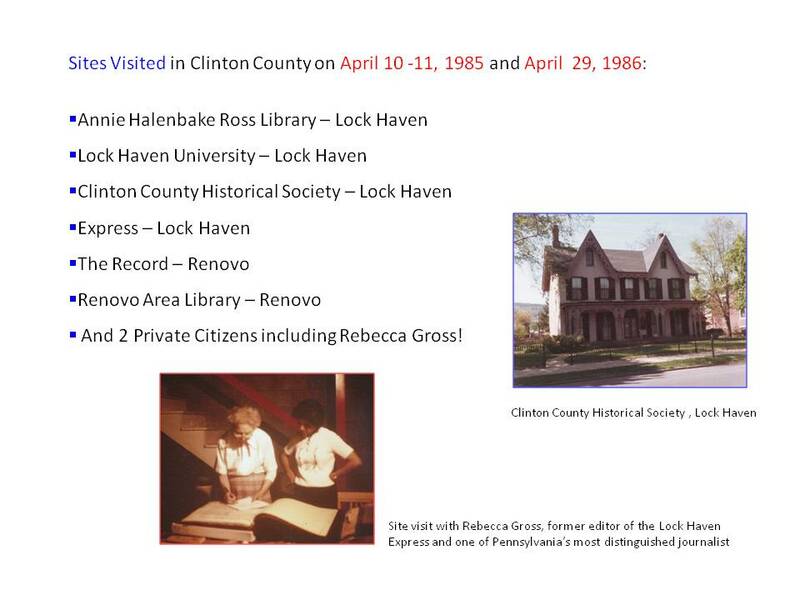 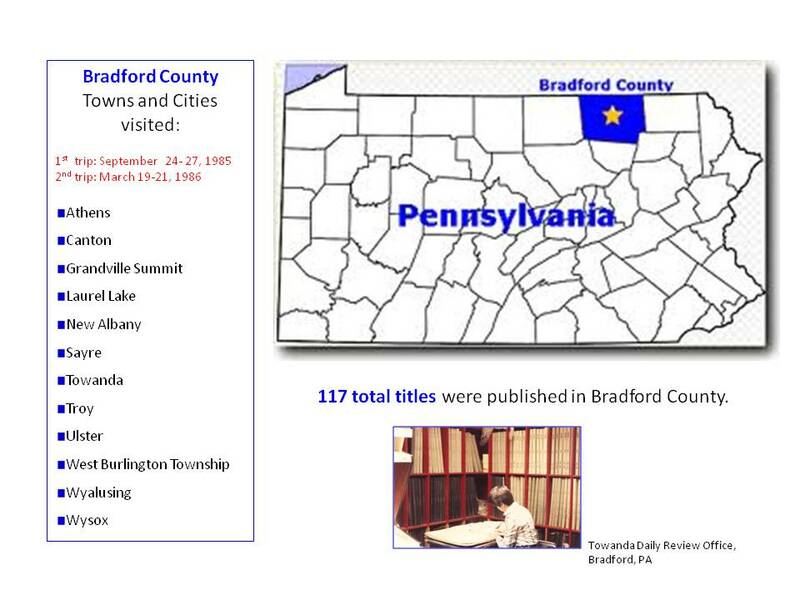 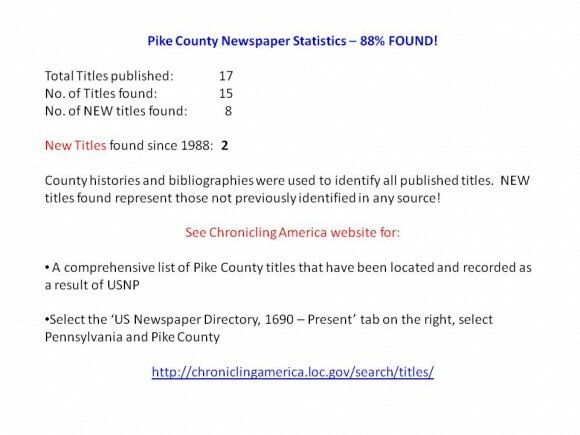 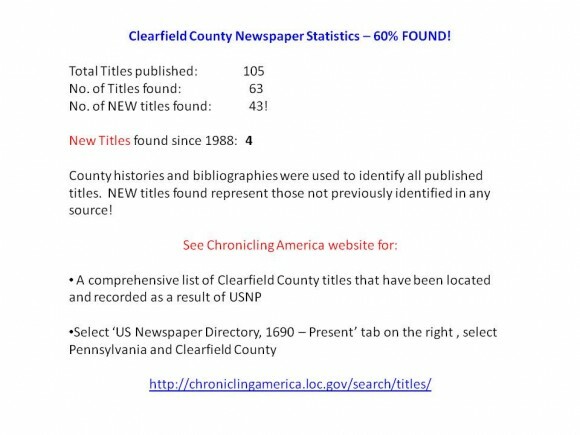 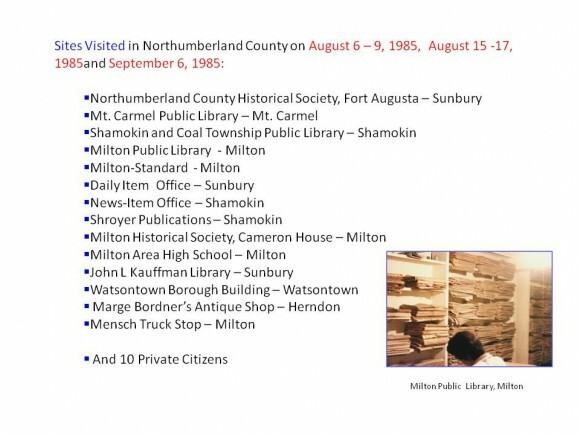 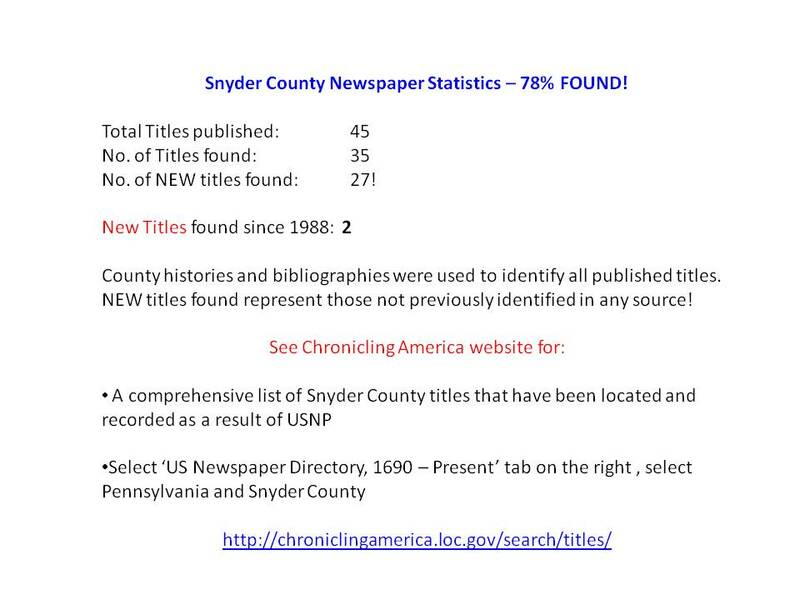 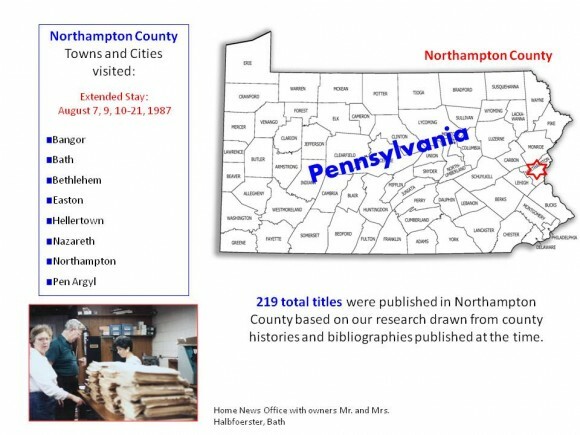 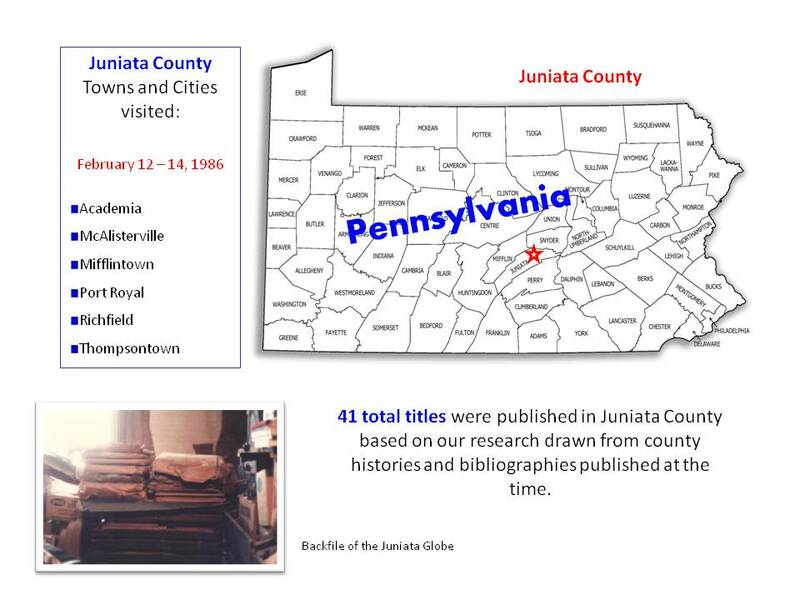 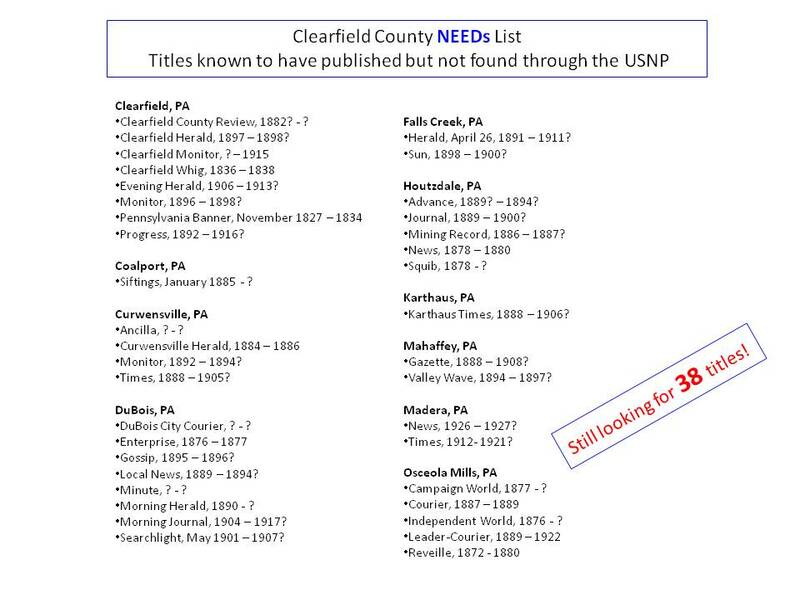 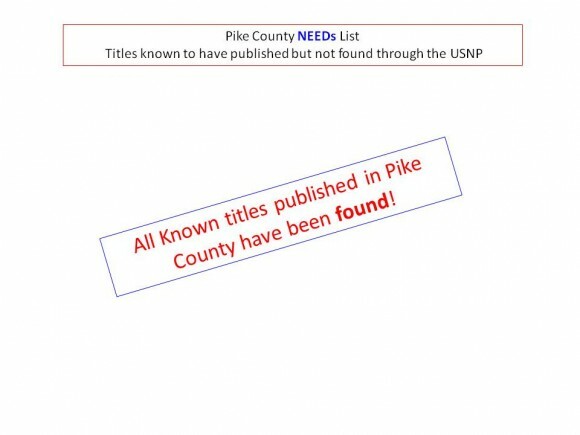 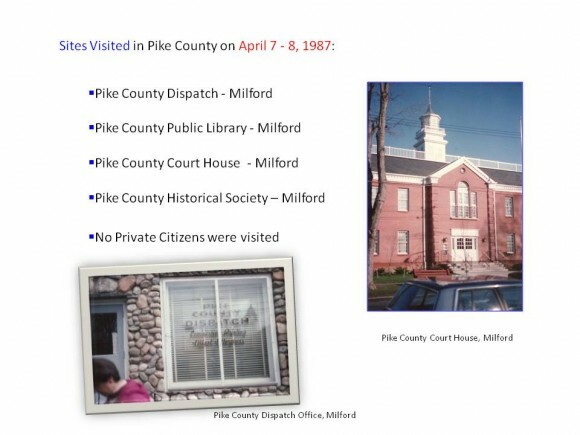 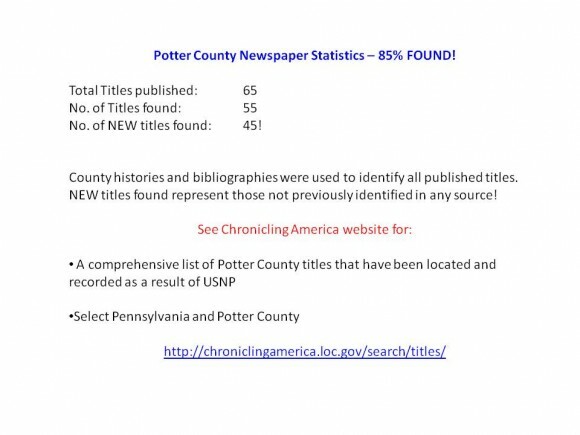 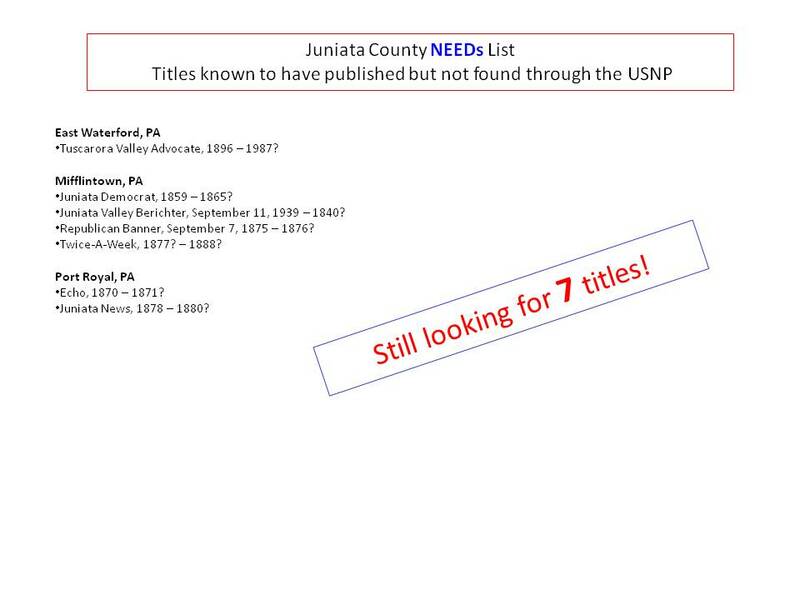 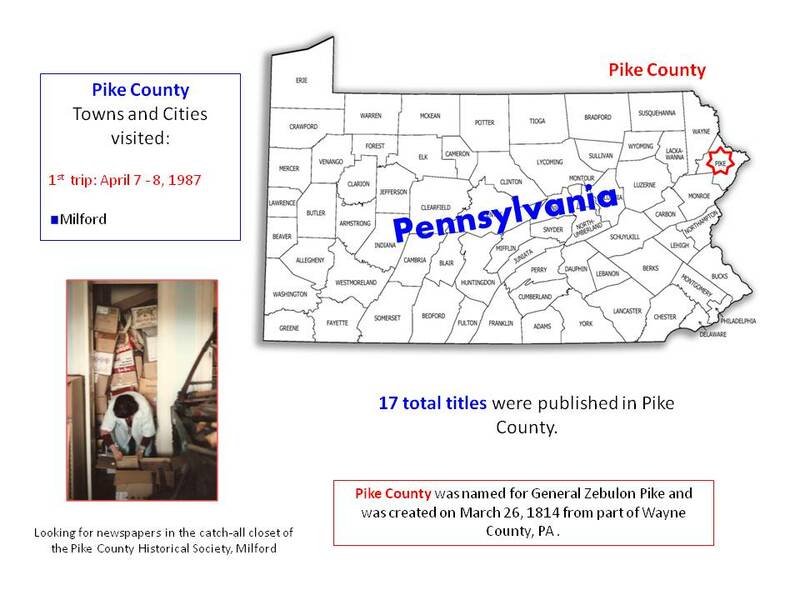 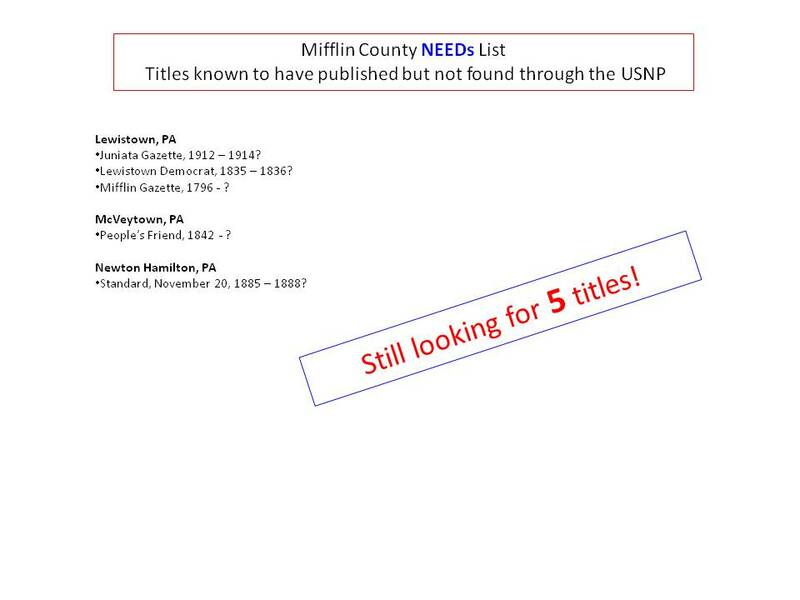 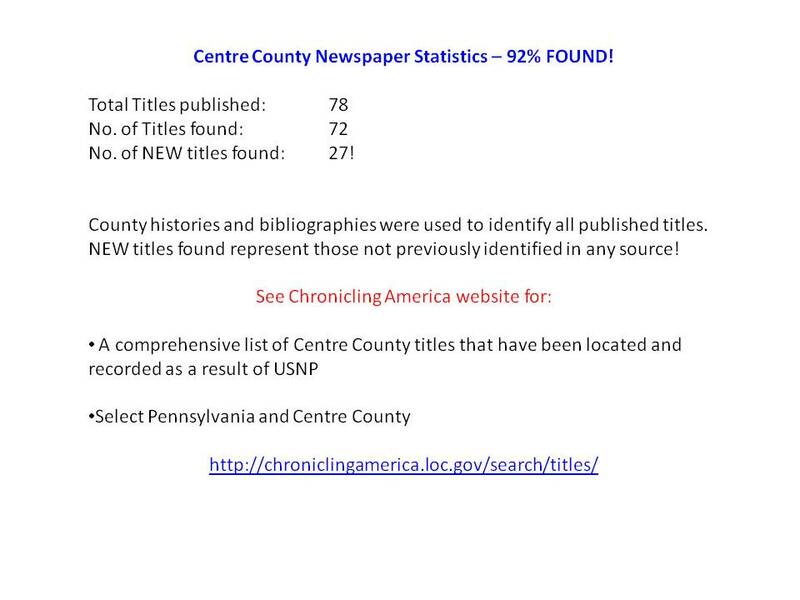 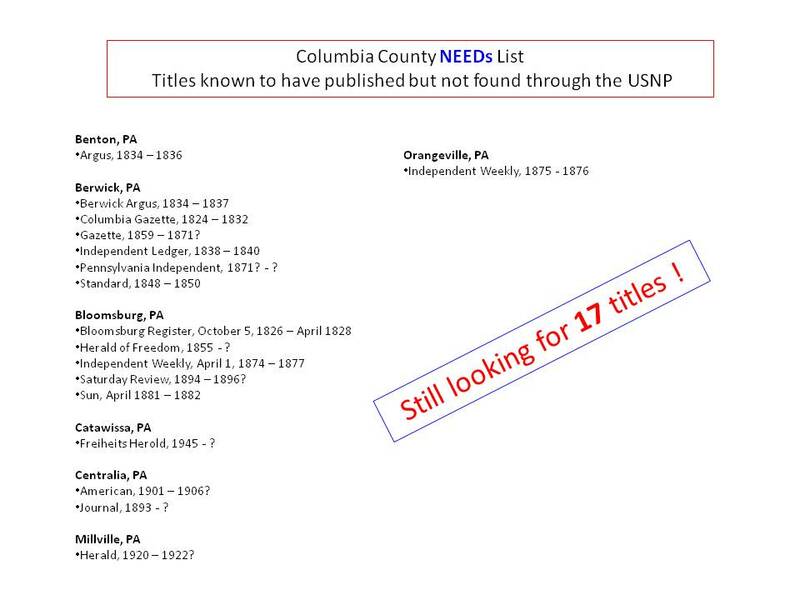 The Penn State Team (Becky and Sue) were assigned a total of 30 counties which they methodically canvased in their quest to find surviving copies of titles published in each county. 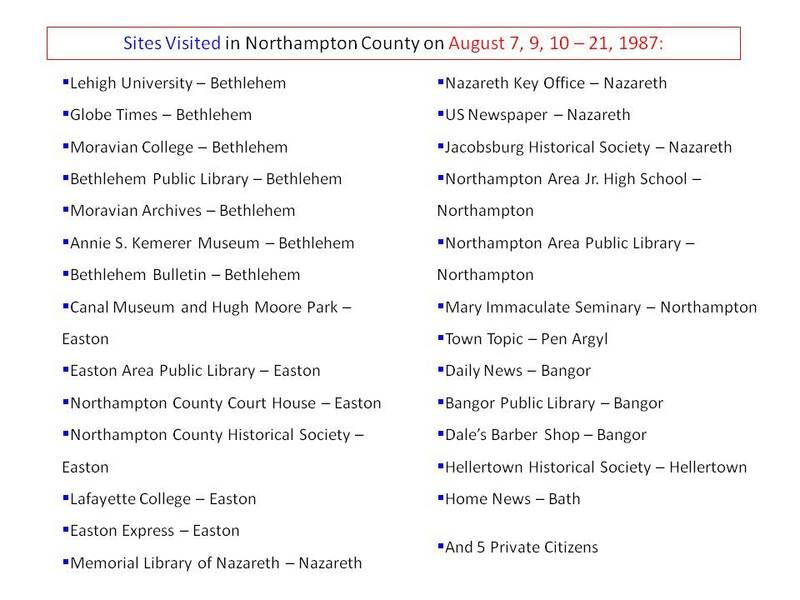 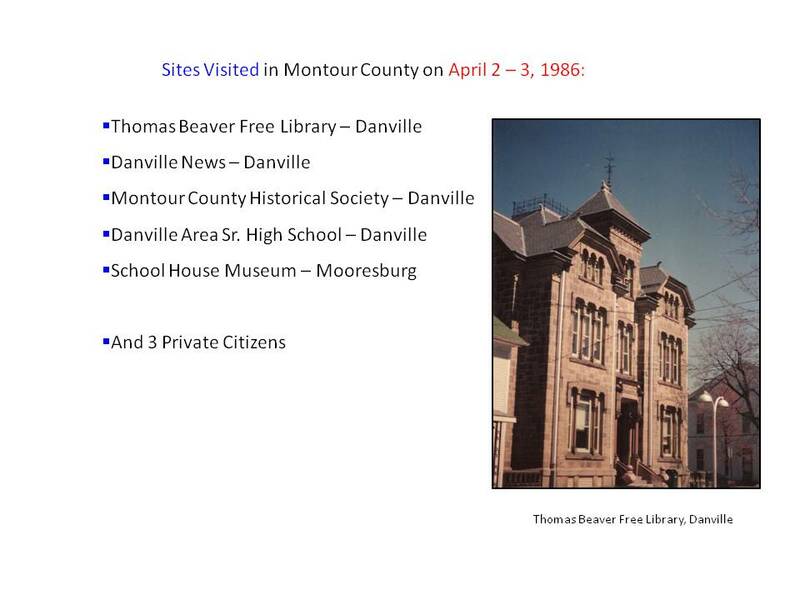 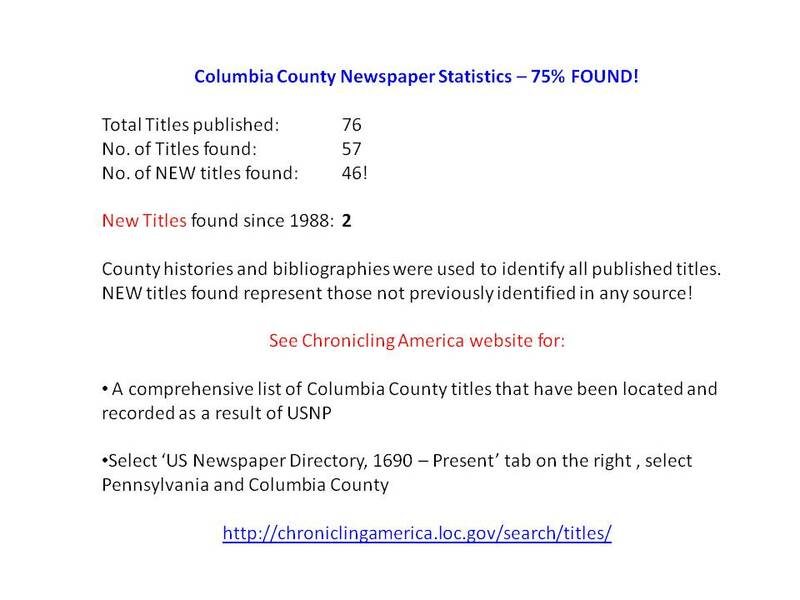 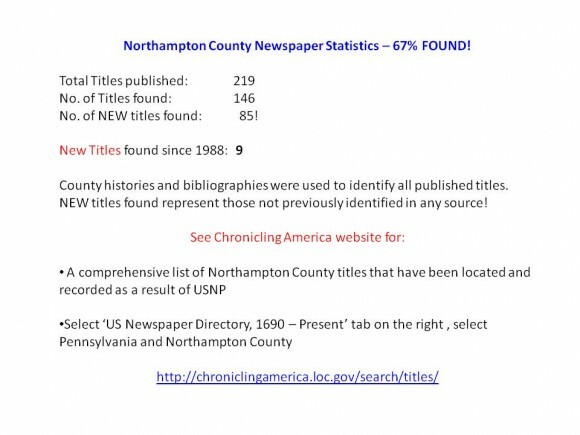 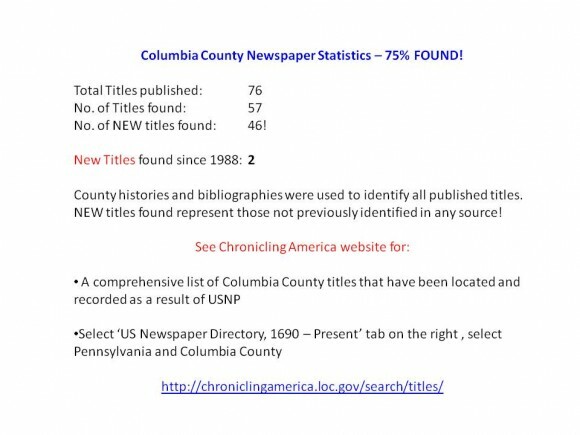 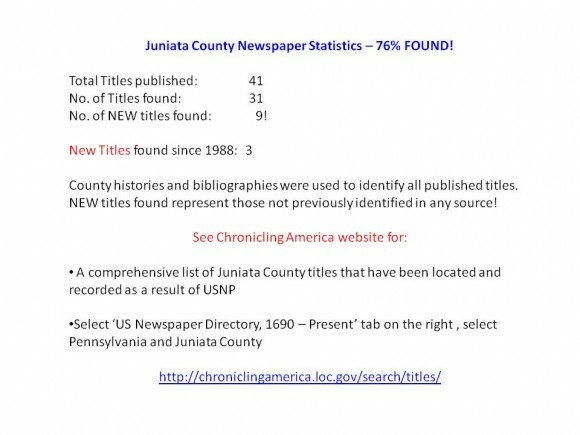 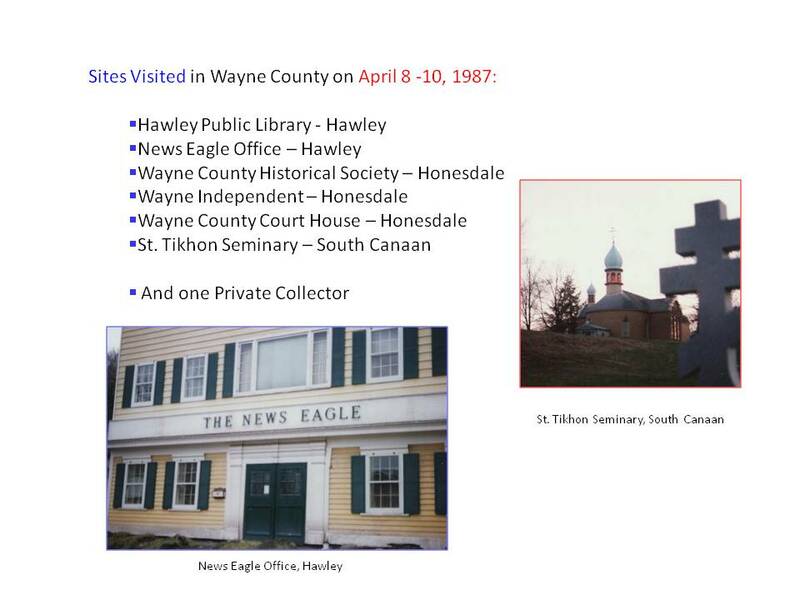 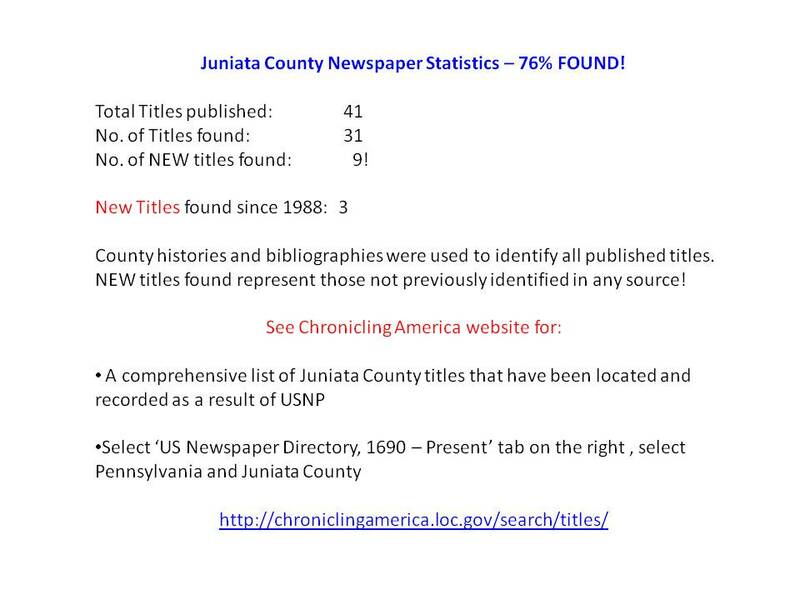 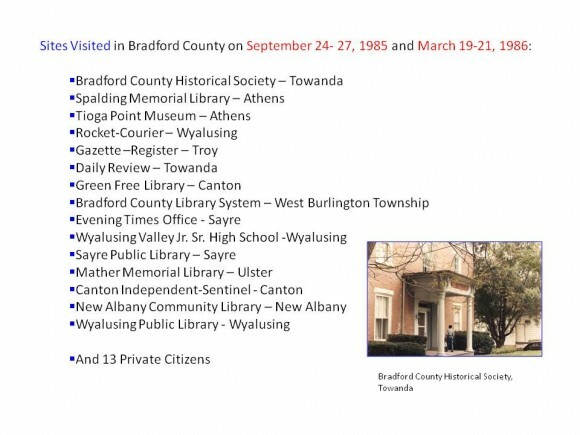 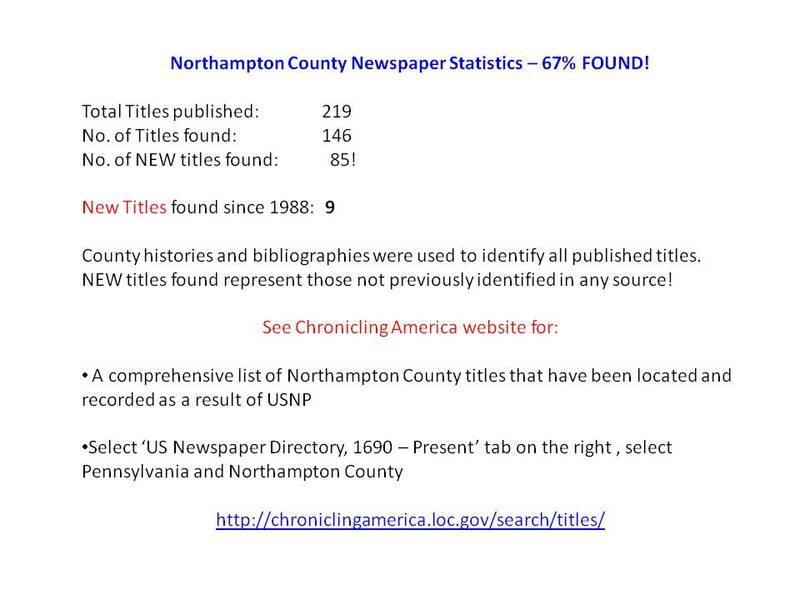 Dates and names of sites and towns visited, number of newspaper titles published and found, as well as a listing of still “unknown” or “not found” titles for each County are provided here. 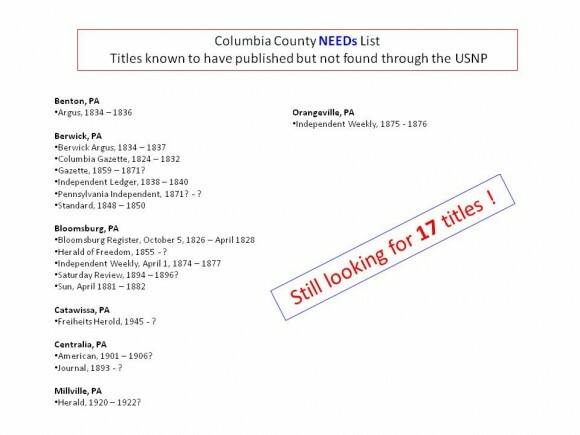 Trying to find as many new titles as possible, i.e., titles not found in any published source, added an element of fun to the challenge.